Magnesium rocks, calcium no. Yes, it true, because if you never had a bump under the skin and sleepless nights thinking what the heck it is, count yourself as the lucky one. In this age where pink ribbons are everywhere and stories about people going to heaven from incurable diseases, can scare everybody. How can you know that it is? My few friends had it, and they were scared in the same way as I worried about them. I read that these bumps can be in any places where soft tissue is involved. First, we need to clean out that the heck is these bumps under the skin. It is a calcification of soft tissues when calcium is abundant. Individuals take calcium in enormous amounts fearing that bones will crumble, will break or joints will be weak. Unfortunately, calcium comes in forms which not dissolve in blood. It means that it floats in blood. Depending on the size and quality the calcium can be absorbed partially, or it will not absorb at all. Magnesium aids to dissolve calcium. When calcium enters the cell through calcium channels, magnesium controls how much calcium can go into the cell. Of course for us will be a placebo effect when they believe that we did everything to help our body to stay active. Yes, I thought in the same way till I found out that calcium from worldwide company Tianshi absorbed at 70 percent. I did not see lab results. It is a claim from distributors. Let’s take a look at the Dr. Carolyn Dean’s book The Magnesium Miracle . Dr. Carolyn Dean explains reasons why calcium is a bad guy without a presence of magnesium. The heart is a muscle, a different one. However, it requires magnesium. When individuals take to much calcium, heart cells overloaded with calcium. Cells contract and spasm. This spasm can be life threating situation, which is called the heart attack. Magnesium is natural calcium channel blocker. Magnesium regulates calcium flow inside and out of cells. Sufficient magnesium lets cells relax and does not let calcium overflow heart cells. According to Dr. Carolyn Dean, drugs such as diuretics deplete magnesium. Magnesium and calcium have close relationships. Magnesium relaxes cells. Calcium contracts muscle cells. Without magnesium, muscles can spasm. Cramps occur. Athletes can suffer from lactic acid buildup when they do not use magnesium. Magnesium lost during exercise with sweat and stressing out. An additional amount of magnesium is needed to keep muscles in shape and prevent the build up of lactic acid. Athletes can be tired if they do not get enough magnesium. Magnesium participates in energy utilization. The study with animals shows that animals who got magnesium recovered from tiredness. Individuals use plenty of calcium and consume fortified food and drinks with calcium.Without sufficient magnesium, calcium overflows cells. Calcium does not solve in blood stream without magnesium. The excess of calcium deposits in soft tissues. Bumps occur under the skin or in breasts. 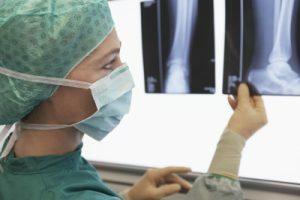 According to Dr. Carolyn Dean, the author of The Magnesium Miracle , the overdose of calcium with vitamin D, can lead to the bone loss when magnesium is deficient. There are some events involved which result in brittle bones. Calcium without magnesium is helpless mineral which does more harm. Sufficient magnesium helps the body stay on the track and perform all functions. Magnesium rocks, calcium no.